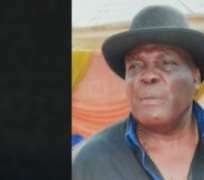 Emerging reports suggest that gunmen on Tuesday night shot and killed a former state chairman of the Progressive Peoples Alliance (PPA), Chief Frank-Anthony Igboka. The former lawmaker was killed at Oye Nimo market in the state. Channels Television gathered that the gunmen trailed Igboka in a Hilux truck while he was driving himself through the community's market square. They eventually caught up with the former lawmaker and riddled his body with bullets. Confirming the killing, the Anambra State Police Command said that investigation has been opened on the matter, with a view to apprehending and prosecuting his killers. Spokesperson of the command, SP Haruna Mohammed, stated that: “At about 8:18 pm of today 16/4/2019 there was a sporadic gunshot around Nimo market in Njikoka LGA of Anambra state. Police patrol team attached to Nimo division rushed to the scene and discovered one chief frank Anthony Igboka on the driver's seat of his Chevrolet SUV vehicle laying unconscious in the pool of his blood and his body was riddled with bullet wounds. The victim was rushed to Beke hospital Nimo where he was confirmed dead by the medical doctor and corpse deposited at the hospital morgue for autopsy. Preliminary investigation revealed that victim was shot at close range by four armed men who escaped in a pickup van towards Abacha Eziowelle road .twenty five expended ammunition of 7.62 mm ammunition were recovered at the scene. The commissioner of police cp Mustapha Dandaura has visited the scene and ordered for a full-scale investigation to ascertain circumstances surrounding the incident and bring perpetrators to justice. Prior to his death, Igboka, who was also a former Anambra State House of Assembly member, was the President General of Nimo community, where he was said to have helped rid the community of criminal elements.